Its time for Camera Critters. Its been sometime that we were not able to join this weekly meme. This week, our entry is our uncle whom we fondly call Tito Bong. 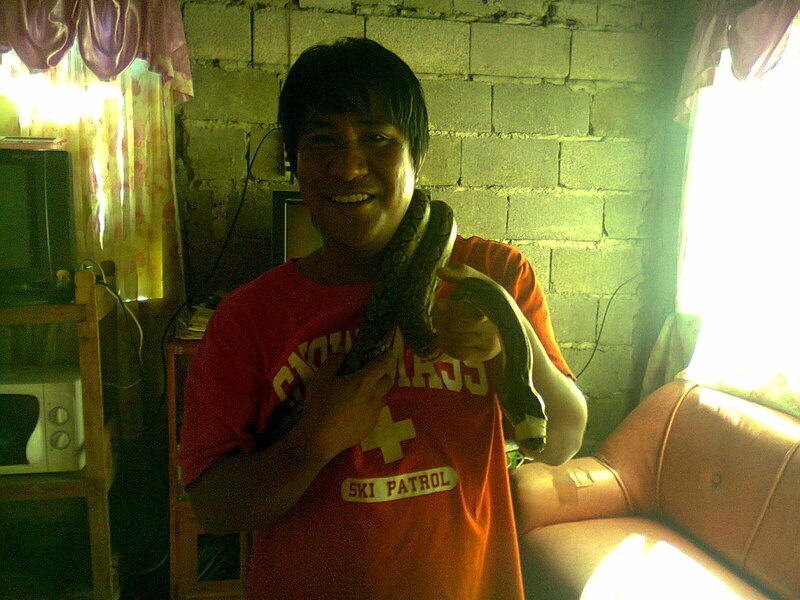 We received this photo by email to show to us that he is holding a snake. Are you up to joining this weekly meme? Click the badge below for the mechanics. See you around! Cool! Pero di ko yata kaya humawak ng snake. hehehe!